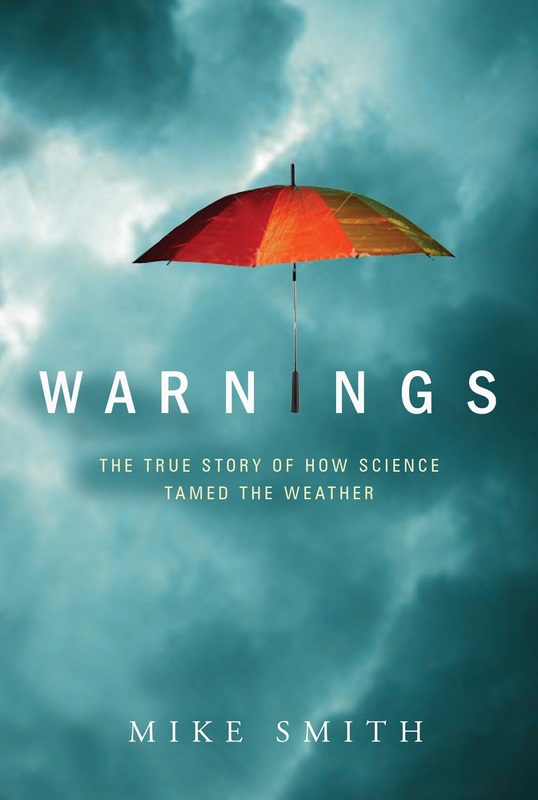 For those who have read Warnings, the name John McCarthy comes up several times. 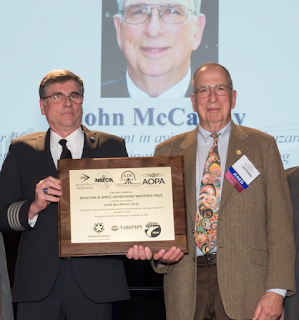 He recently received a richly-deserved "Aviation and Space Operations Weather Prize." It was John, you'll recall, who features prominently in my career weeks before the major tornado outbreak in Oklahoma in 1974. His name comes up again in the chapters about Ted Fujita and the conquering of the downburst and the mortal danger it posed to commercial aviation. It was John, more than anyone else, that took Ted's discovery and developed it into something that would save hundreds of lives. Please read the entire story at the purple link, including how he saved the life of the man who presented this prestigious award.